A Door is Just a Door, Right? Like a lot of people I walk to work everyday. And everyday as I engage ‘auto-pilot’ I don’t really absorb the sights around me. I’m too busy thinking about what I’m going to have for dinner later that evening…or cursing the fact that I had to leave my beloved bed and how I’d love to dive right back into it again (that’s a very frequent thought on my way to work in the mornings)…sometimes I’ll just wish that I didn’t have to blinkin’ work at all and sometimes I’ll wonder if I remembered to turn my hair straighteners off. Yes, all very worthwhile, deep and profound ponderings I’m sure you’ll agree. I spotted a very interesting door on my way to work yesterday morning. I’ve actually looked at this door quite a few times previously but I didn’t really look at it. You know what I mean? But for some strange reason I paid attention to its curious and characterful demeanour yesterday. I decided that such a door was worthy of being photographed. So today after work, I grabbed my trusty Canon and started clicking. 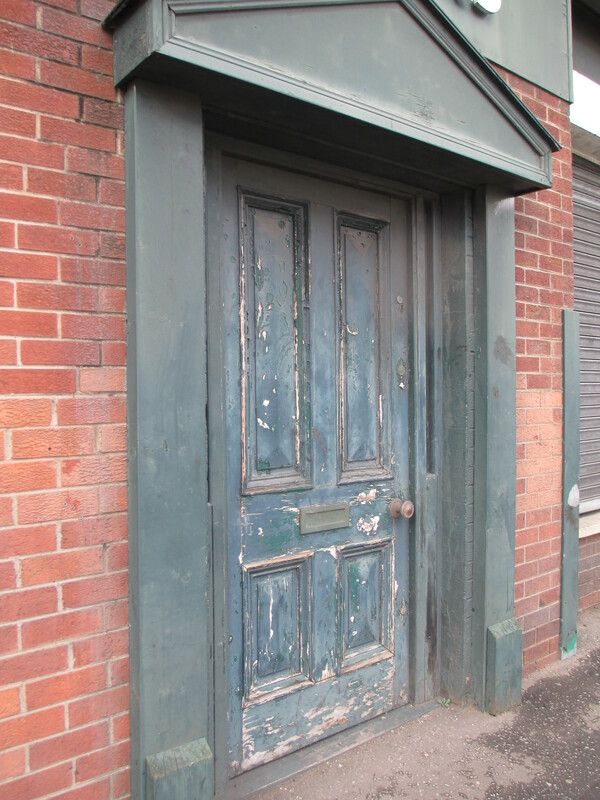 This door is on a fairly busy road in the centre of Belfast city. I wasn’t too concerned until two Police Officers approached me. More about that later. It would only happen to me, for Pete’s sake. So, this is the door in question. It’s the entrance to a vacant building that has been disused for quite a long time. 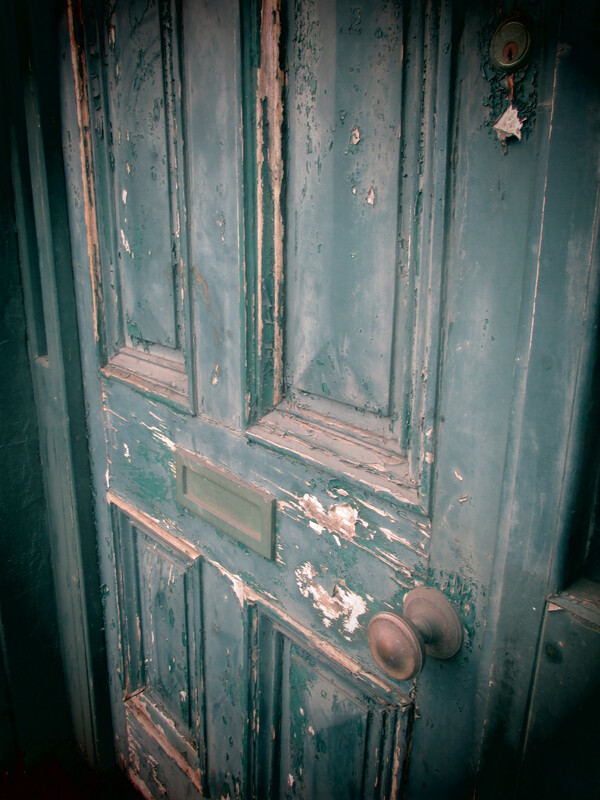 It’s a shabby, unkempt, raggedy mess of a door but at the same time its distressed, paint-peeling, rustic charm screams character. It’s the sort of door that has a trillion stories to tell and I would gladly sit down with a freshly brewed cuppa to hear each and every one. What makes this door stand out even more is the fact that it’s the only door on this entire street. How cool. I was so focused on capturing the best angles that I didn’t notice two Police Officers walking towards me. And when I became aware of their approach (and after I glanced over my right shoulder to check that it was in fact me they were interested in) I briefly stopped taking photos and shifted nervously. 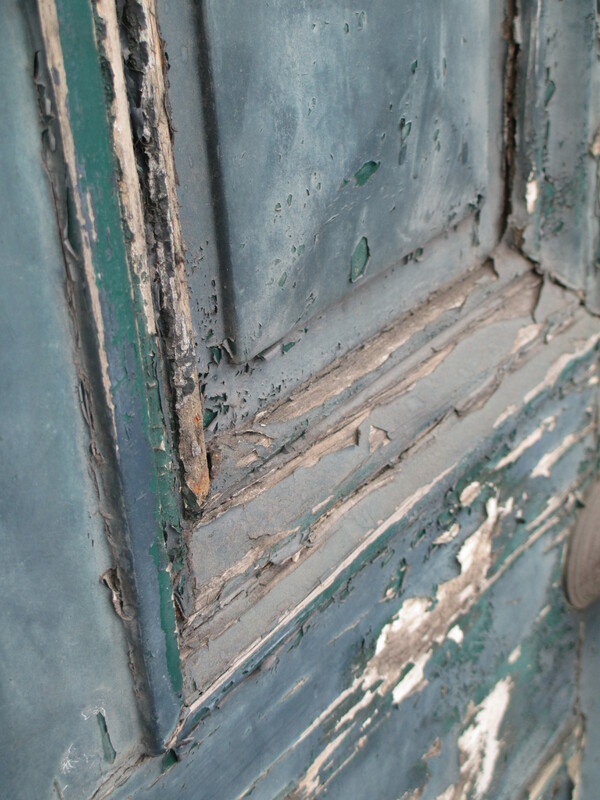 I mean, I was taking photos of a battered door!! Come ON. It turns out that with security in Northern Ireland being a little tighter than normal because of the G8 Summit apparently vacant buildings are under threat of being taken over. Or something. 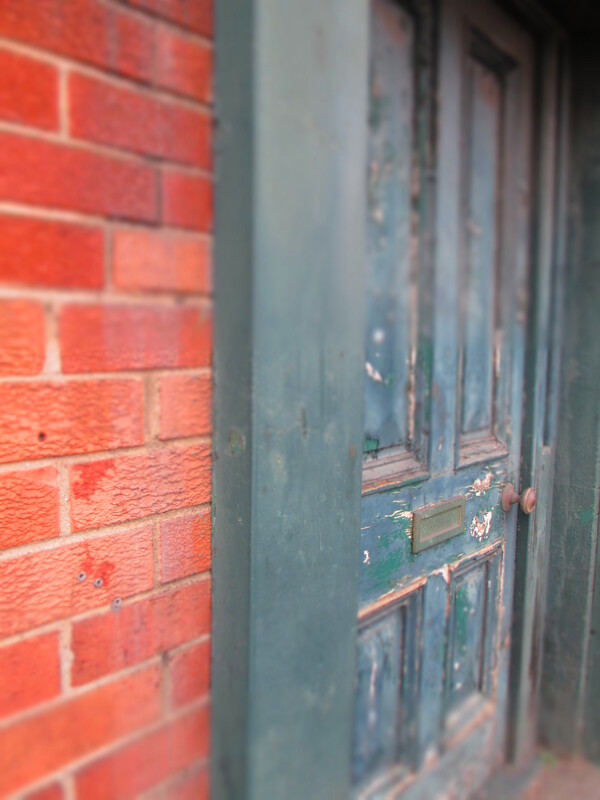 Anyway, one of the Police Officers proceeded to chat about the distressed nature of this particular door and how he understood that someone ‘arty’ would appreciate its distressed aesthetic because apparently he was a little ‘arty’ too. ‘Arty’ Police Officers? Who knew? 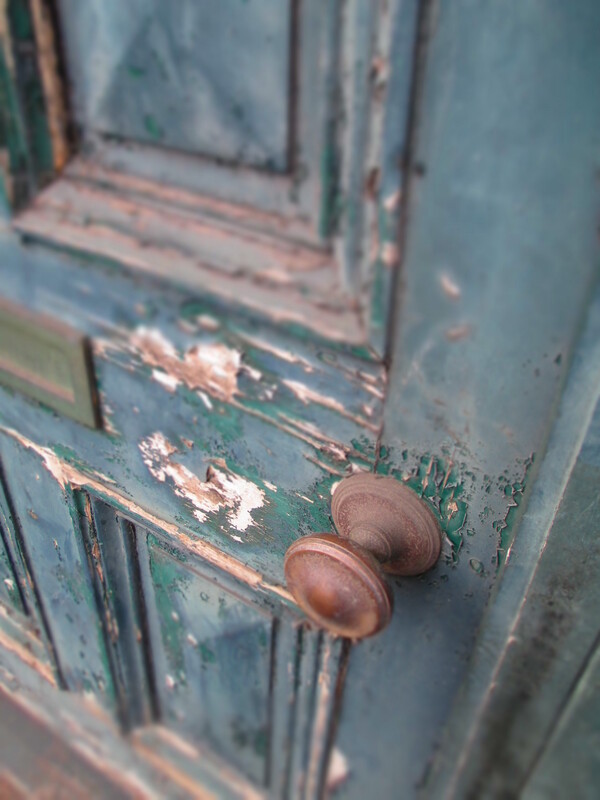 Here are a few additional photos that I hope capture the rustic and characterful charm of this awesome door. The next time you’re out and about: LOOK around you!! There are little gems everywhere that have a story to tell!